ビデオのページの下にEnter your comment hereというところがあります。ここにいろいろなメッセージを書いて、下のボックスにあなたのメールアドレスを書いて、その下のボックスに名まえを書いて、Post commentをおせば、あなたのメッセージがこのホームページにのりますよ！ぜひ、ちょうせんしてみて下さいね! 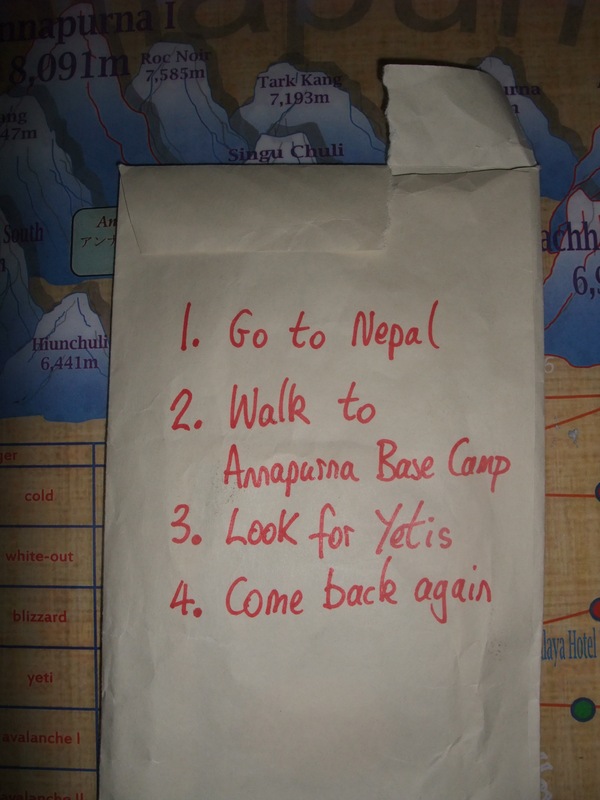 The plan is for Julian and I to trek to the Annapurna Base Camp in Nepal in November this year (2011) and look for Yetis. It will take 8 to 10 days to reach the base camp and 5 or 6 days to walk back down again. With travelling time to the mountain and allowing for a bit of sightseeing in other places, we plan to be in Nepal for about a month. The trek itself starts at an altitude of about 1,500m (5,000 feet) and the highest point is 4,100m (13,450 feet). By comparison, Ben Nevis is 1,344m and Mount Fuji is 3,776m. We will fly from Shizuoka Airport, Japan to Seoul, South Korea. After an overnight stop we will then fly to Kathmandu, Nepal. We will have one day in Kathmandu and then we will take a bus to Pokhara, Nepal’s second city and the starting point for most of the treks in the Annapurna Area. In Pokhara we will find a porter who we will engage to carry some of our luggage on the trek. Porters can carry up to 20kg (plus their own personal items) in exchange for a daily fee and a bonus at the end of the journey. From Pokhara the three of us will take a battered Indian-made coach to a dusty bus stop by the side of the road and from there we will begin to walk….uphill. The Annapurna Base Camp trek is a very famous, well established route along which thousands of hikers journey each year. According to several guide books, there are villages along the course and you are never more than an hour or two from the next settlement. All villages have tea-houses and basic lodges from which you can buy meals and arrange accommodation. Hikers therefore don’t have to take any camping or cooking equipment, just a toothbrush and a sleeping bag for the nights at the higher end of the trek. Well, it’s Caroline’s fault really. For Christmas last year my dear sister gave us a New Forest Calendar, which of course was very much appreciated. However, on Boxing Day as I took a closer look at the calendar, I noticed that there was no page for November. At first I thought it was an effect of all the sherry but no, there was a lovely picture of a fallow deer in the dawn mist for October and a robin in a suitably snowy scene for December but nothing for November. My chuckling stopped abruptly when I considered the implications of this. All my students know that I always receive a typically English calendar for Christmas every year and each month they look forward to the next glorious photograph. Imagine the reaction when we reach the end of October and there is no page for November. Oh, the embarrassment! 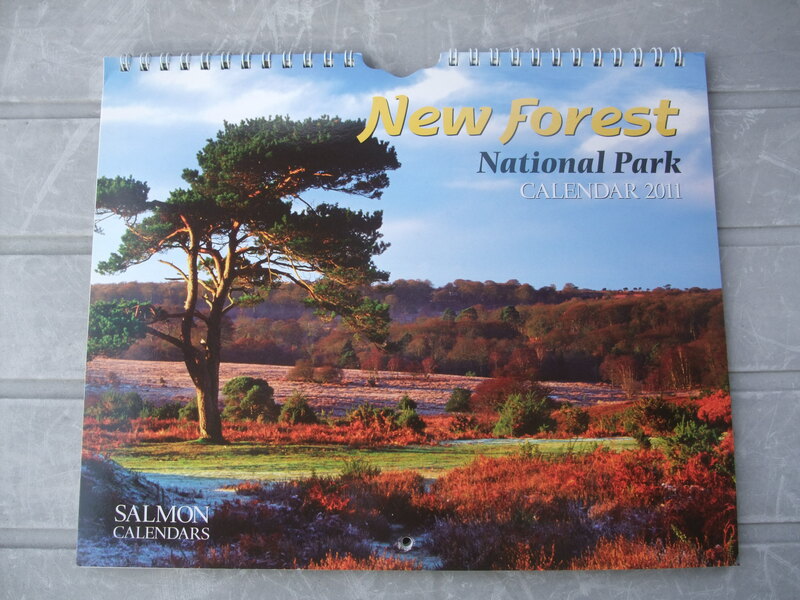 No longer can Britain make cars, televisions, computers, reasonably-behaved-children and financially sound banks but it would also appear that we can’t even make New Forest Calendars now! Oh, the horror. And so, as I poured another glass of sherry to calm myself down, I realised that there was only one course of action – I would have to be out of Japan for the whole of November! We will fly from Japan on the morning of Tuesday, 1st November and stay in Seoul that night. Then on the 2nd November we will fly to Kathmandu and stay there a night before taking a bus to Pokhara. We should therefore be in Pokhara on Thursday 3rd (whether our luggage will be with us is another question!). The plan is more fluid from this point but I hope we start trekking from Monday, 7th. We could be back in Pokhara anytime from Saturday 19th November. This will give us time to go to other places and arrive back in Kathmandu to catch our flight back to Seoul on Wednesday, 30th November. Tea and medals served on Thursday, 1st December in Fuji City. While we are in Nepal I intend to write about our progress each day. However, I believe that there will only be one chance to upload the blog while we are in the mountains. So when we return to an Internet and indoor plumbing area I will upload the account of our exploits all at once. The posts on this blog will therefore be a bit like London buses; nothing will come for a long time and then 10 will appear at once with badly spelt graphitti. If you click on the helpful grey “Follow” tab at the bottom right of your screen, you can give your email address and then be informed when there are posts to read. I’ve known people to do this and they didn’t get deluged with junk emails. While you’re down there, you could also increase your web browser to 125% which will make this blog easier to read! Mountain and village names are spelt in different ways in the various guide books and websites I’ve read. (It seems the older the book, the more “h”s there are.) I’ve therefore taken a democratic approach to spelling Nepalese places which may look inconsistent. English words are misspelt because of late night typing, an over-whelming urge “to get it all down” and an American spell checker. Of course I should be delighted to hear from anyone who has found a spelling mistake. Julian’s only 9 and I hope this is the first of many such trips for him. Thanks for reading this far and check back often especially from Tuesday, 1st November when we fly out to Korea.